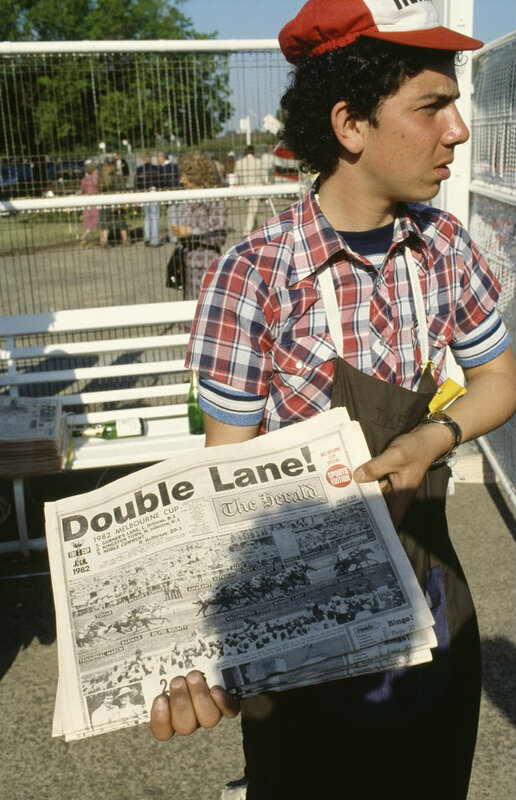 [Newspaper boy] / Rennie Ellis. This work is in copyright. So we’ve all heard that newspapers are on their last legs, right? To be replaced entirely by digital editions? Well at the Library the paper copies are still very popular, which is just as well, as we still receive about 280 papers each week. 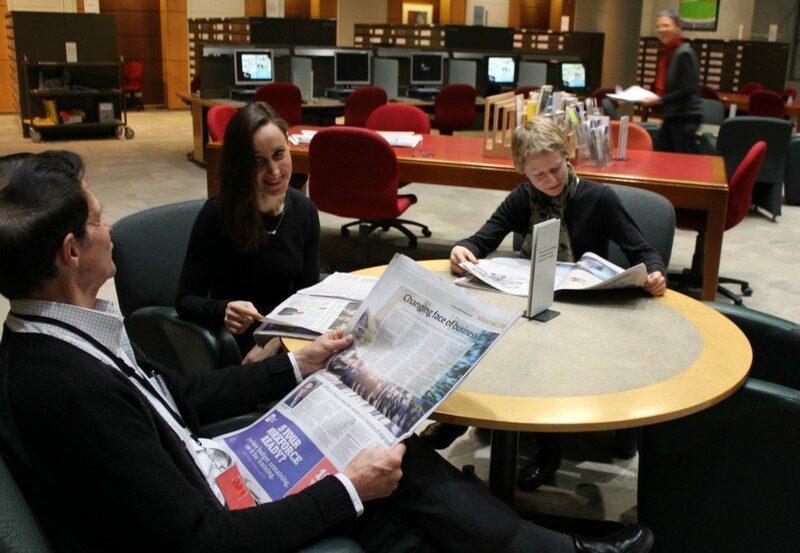 We collect at least two copies of every newspaper published in Victoria, which is over 200 titles. These include regional papers like The Maryborough district advertiser, papers in languages other than English such as Tygodnik Polski, (Polish weekly) and Hrvatski vjesnik (Croatian herald), as well as special interest titles like Inside football. We also receive papers from all Australian capital cities and territories, as well as some international titles. The papers are delivered daily; the first run arrives at about 8.00 am. The papers are then unwrapped, sorted, stamped (red or black) and stapled. 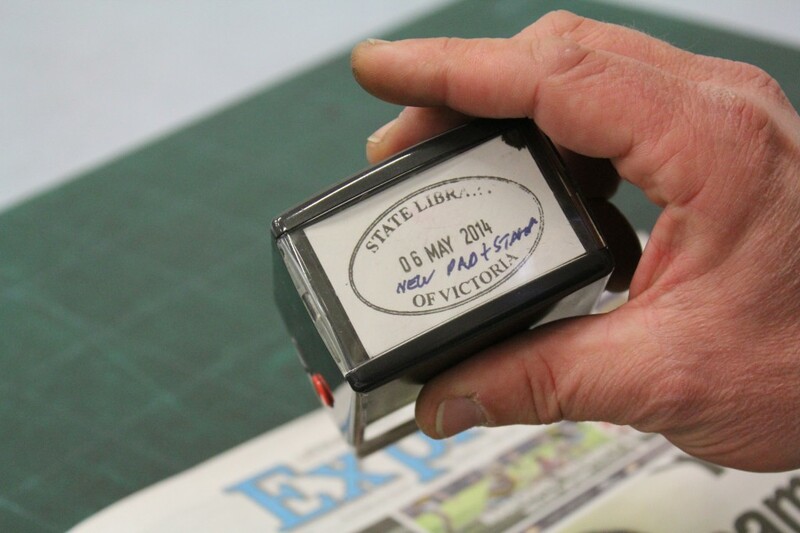 The black stamped papers are added to the catalogue and a stapled copy goes straight into the Family History and Newspaper Reading Room for public use. The red stamped ones are extra copies for public use. The second paper delivery comes in about 9 am, which usually includes the interstate and international dailies. These are delivered by Max. 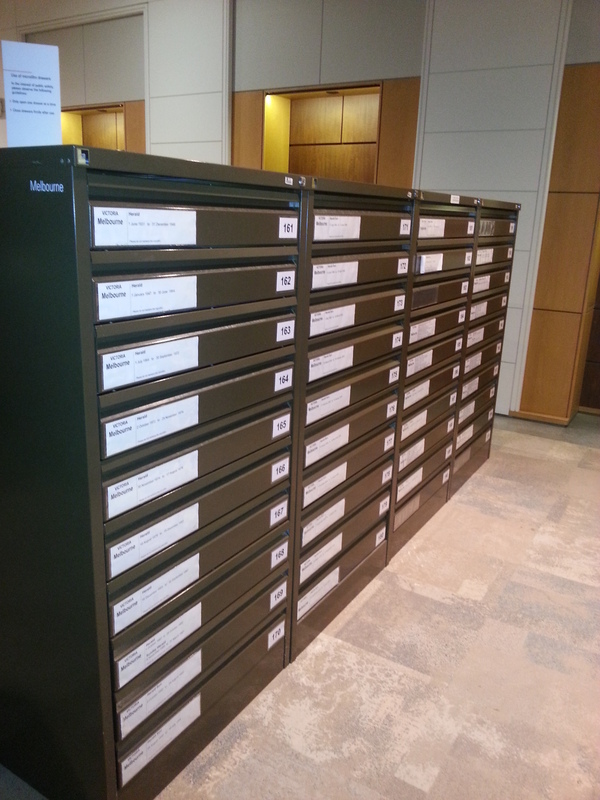 These are also accessioned, stamped, stapled, added to the catalogue and then delivered to the Reading Room. Papers being added to the catalogue. The major dailies are placed on a table in the Reading Room. 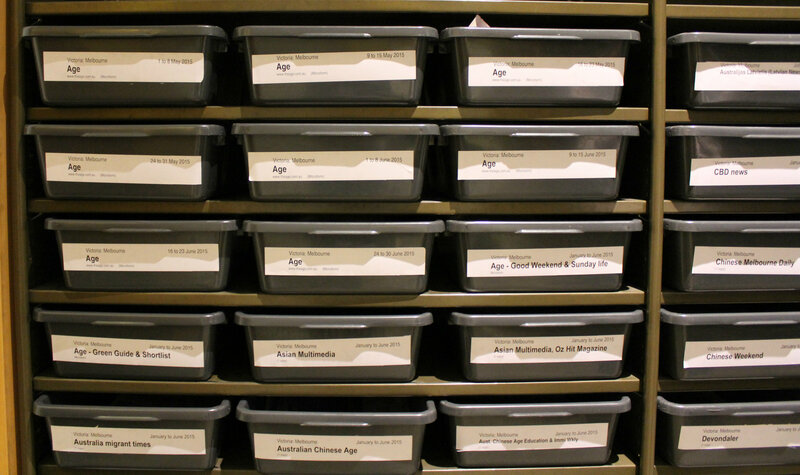 All our current papers- up to three months- are kept in tubs in the Reading Room, where patrons can help themselves. The Reading Room houses more than 400 tubs containing Victorian, interstate and international titles, as well as thousands of rolls of newspapers on microfilm. The newspaper tubs are organized by state and then place of publication. At the beginning of each month, the oldest papers are removed from the tubs, boxed, barcoded and sent to our warehouse to join the other 95,000 volumes. Patrons wanting to see the older papers (that aren’t on microfilm), can order the papers in and they will be delivered the following business day- but that’s another story. 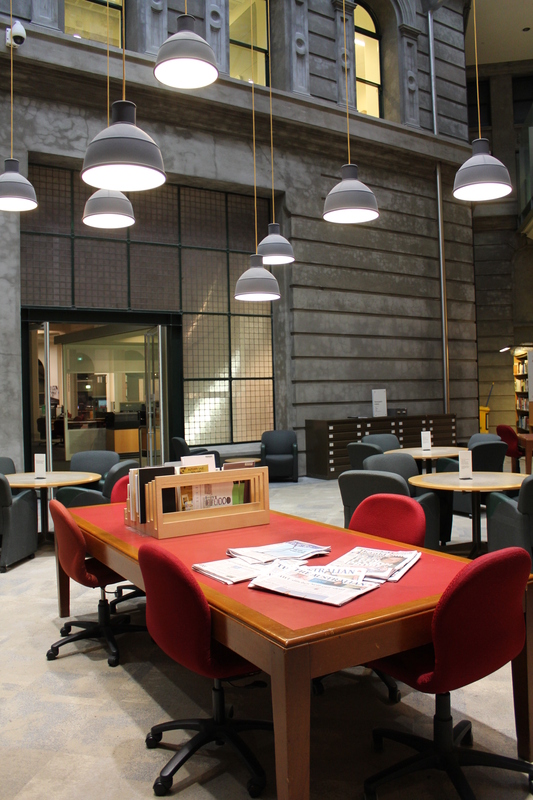 Patrons can enjoy the daily papers in the Family History and Newspaper Reading Room. You can learn more about Newspaper Collection and how to find items in newspapers in our research guides. Is this process the one followed for the community newspapers published across Victoria? 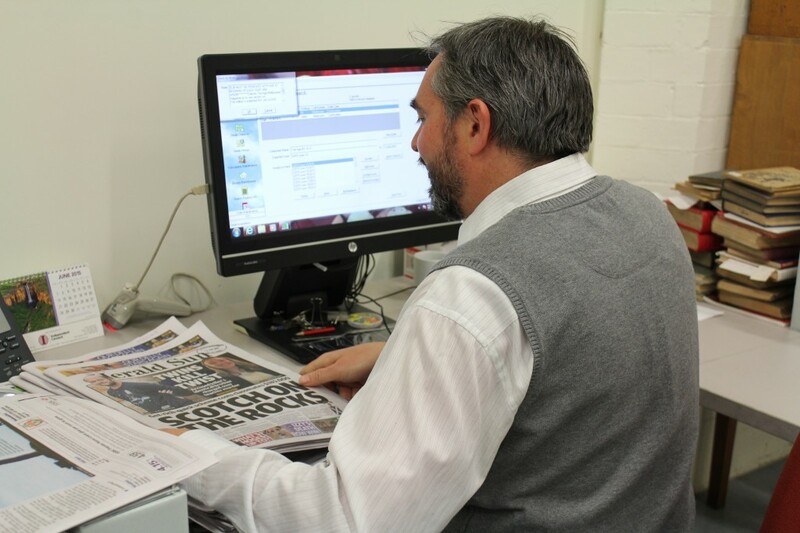 Yes- if it’s a newspaper, such as the Stonnington Leader or the Shepparton News, it goes through this process. 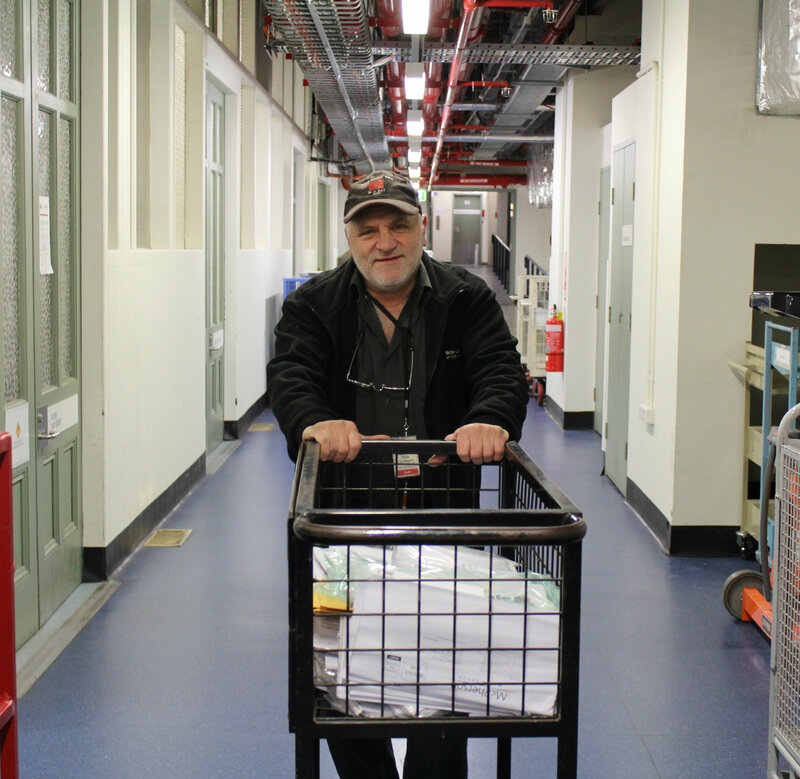 We also get a lot of newsletters from communities – but they go in to the La Trobe collection.